A perfect getaway surrounded by nature is hidden away near the town of Woodstock. 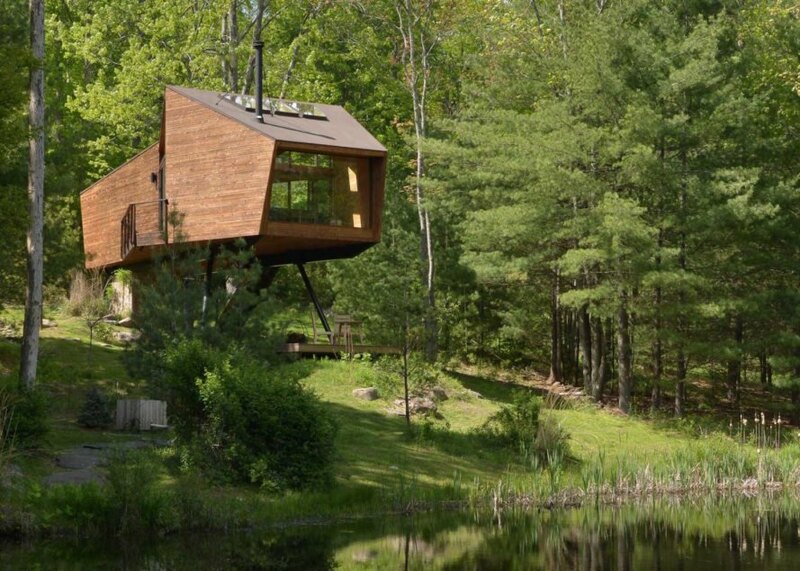 UK-based Antony Gibbon Designs crafted this blissful retreat, called Inhabit Treehouse, that’s nestled within dense forest less than a two-hour drive from New York City. 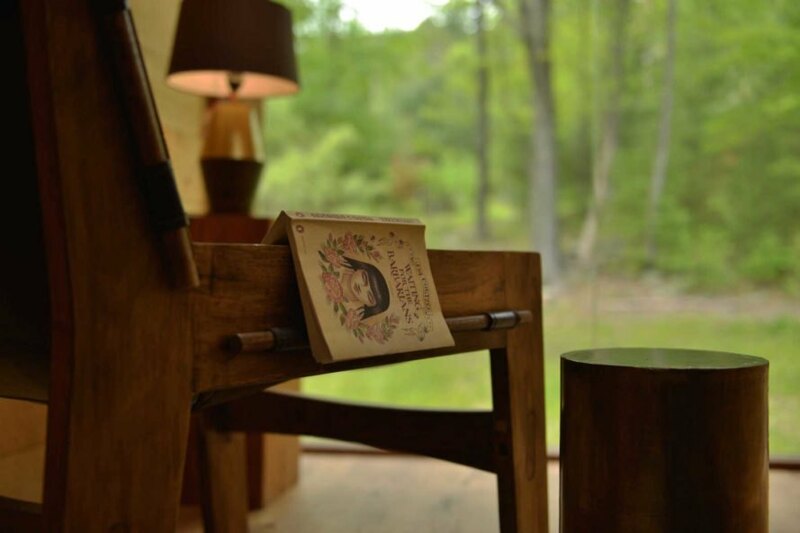 Built from locally and sustainably sourced reclaimed timber, Inhabit treehouse offers beautiful and cozy digs with stunning views of a lake and the Catskills mountain range beyond. Built for a family with plans of opening the treehouse up to rentals, Inhabit Treehouse is a small and efficiently designed space with all the comforts of home. 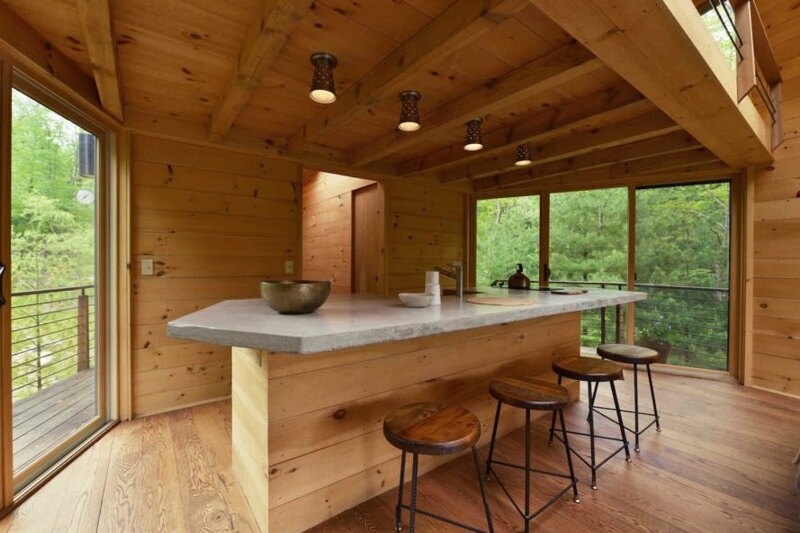 FSC-certified reclaimed cedar sourced from the Catskills valley clads the treehouse, while FSC-certified reclaimed pine lines the interior. The timber facade will develop an attractive patina over time to help the building blend into the landscape. 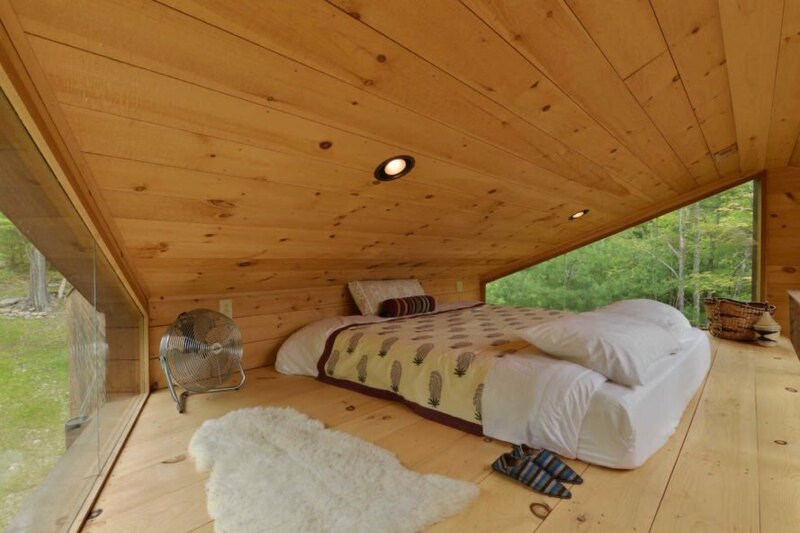 Large windows open the treehouse up to natural light and views of the outdoors. Guests can also reconnect with nature from the two balconies on either side of the building. The treehouse interior comprises an open-plan kitchen, dining area, and living room with a wood-burning stove; a spacious loft bedroom; shower and bathroom; and a second bedroom in the rear that could easily be transformed into an office. 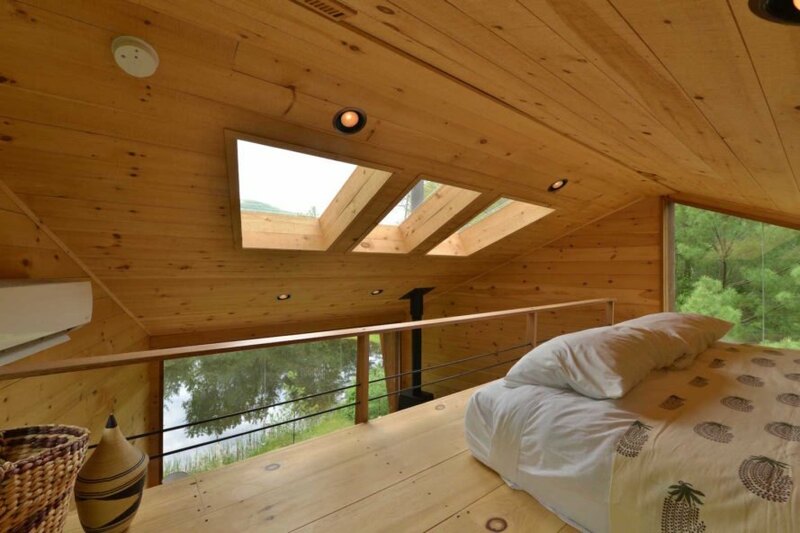 A large terrace beneath the treehouse leads down to the lake and a hot tub. 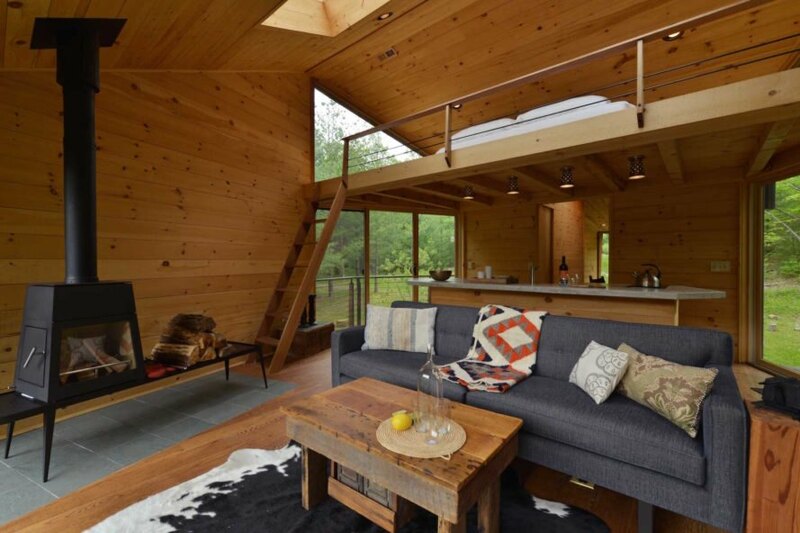 Built for a family with plans of opening the treehouse up to rentals, Inhabit Treehouse is a small and efficiently designed space with all the comforts of home. The timber facade will develop an attractive patina over time to help the building blend into the landscape. 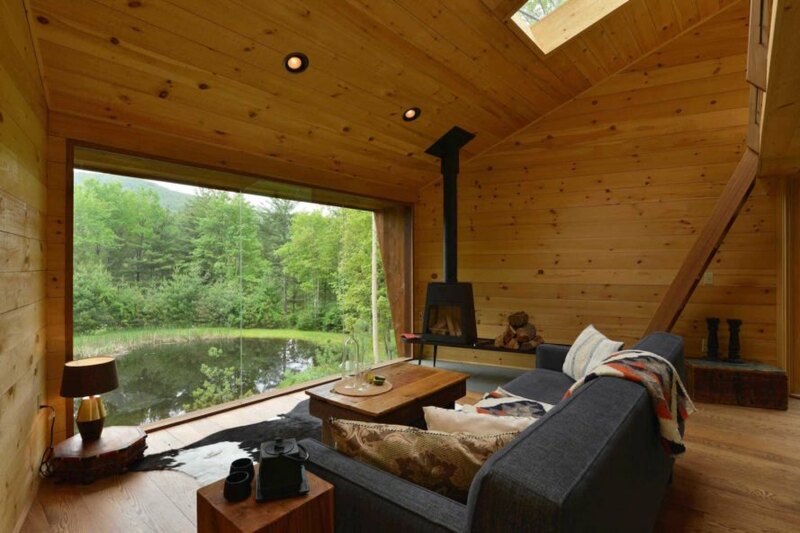 Large windows open the treehouse up to natural light and views of the outdoors. Guests can also reconnect with nature from the two balconies on either side of the building. The treehouse interior comprises an open-plan kitchen, dining area, and living room with a wood-burning stove; a spacious loft bedroom; shower and bathroom; and a second bedroom in the rear that could easily be transformed into an office. 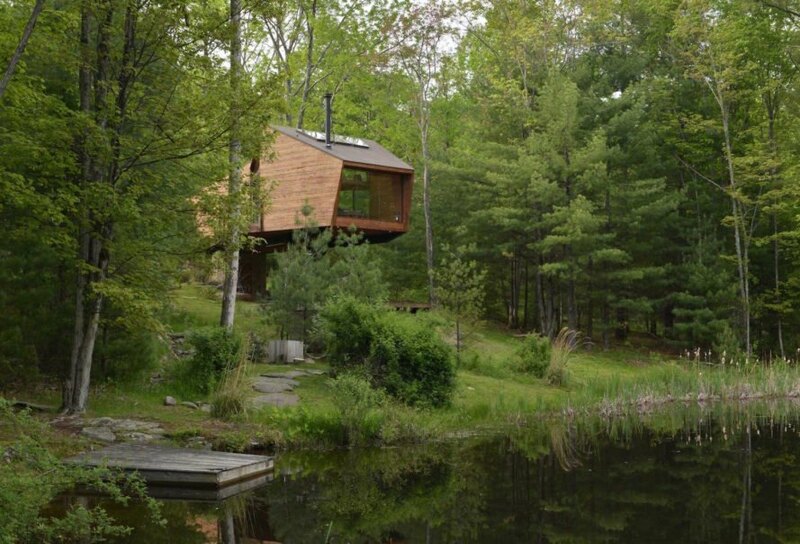 A large terrace beneath the treehouse leads down to the lake and a hot tub.